The Il-40 two seat ground attack aircraft went into service with the VVS in 1956. The plane was cancelled in 1955 (shortly after production started) when a doctrine change in the VVS turned the focus from ground attack and support to nuclear deterrence. The cancellation was a brief one; after studying the difficulties providing effective ground support encountered by the UN in Korea and the French in Indochina the Il-40 was put back into production. The Il-40 soldiered on through the decades, seeing some improvements - the RD-9 engines was replaced with the more powerful RD-11 (similar to the one used in the Mig-21) external hard points (in addition to the existing bomb bays) were added and better electronics and avionics were installed, including a targeting TV camera. The Il-40 performed well in Afghanistan; most well known for causing a diplomatic crisis between Russia and Saudi Arabia, in 1980. An Il-40 attacked a Mujahedin convoy in the Helmand province, killing several Saudi nationals. Among the dead was the son of a rich, prominent and well connected Saudi construction mogul who claimed that his son, Osama, was in Afghanistan on a purely humanitarian mission to help build schools and waterworks. Well, that's the backstory, anyway. I couldn't wait to get my hands on this kit. Like most Amodel kits, it needs some careful consideration and dry fitting before plunging into the construction. 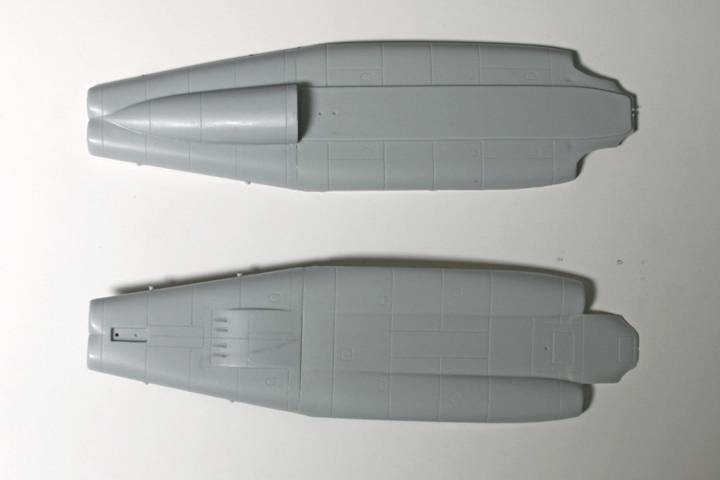 Since this kit also comes in the not-as-cool-looking Il40 Early variant, the fuselage is divided into six parts, with two for the nose. There's still a gap, but it's minor. More importantly, the upper and lower parts fit well, with no major gaps except for a big gap at the tail - easily fixed by clamping when it all gets glued. There's plenty of room in the nose to add weight. I also added the splitter and engine fronts. The engine fronts need some trimming to fit well, but they do provide another support surface. Across the Multiverse people laughed. And it was good. What a strange plane....is it real?? You doing it in Soviet or Afghan markings (my vote would be the latter)? 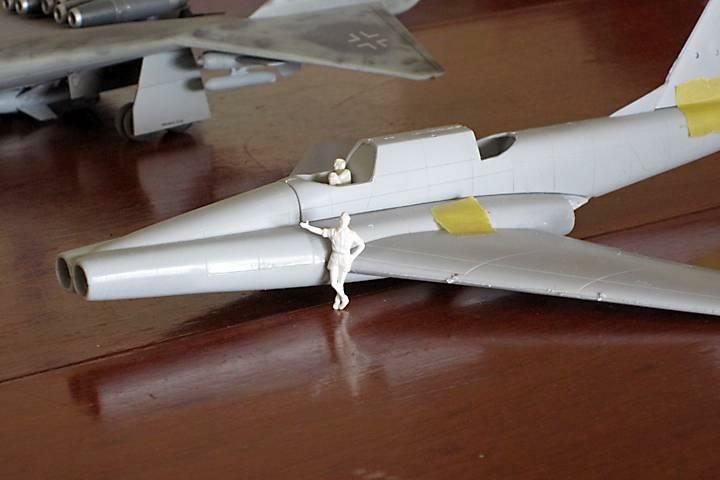 Very interested in this as the model is in my to do pile - the one on the floor by my modelling desk - so it is imminent. I've been thinking about this bird for years-a little surprised its as big as it is, but there you are. Looking forward to seeing the build. Maybe it's a combination of dryfitting and expecting the worst while hoping for the best, but this sucker is moving along faster than I expected. I've completed the most difficult of the major sub assemblies. For an Amodel kit, this one isn't too bad. The large sprue attachment points, flash and generally poor fit that you'd expect in an Amodel kit are there - just not as bad as in most of their kits. 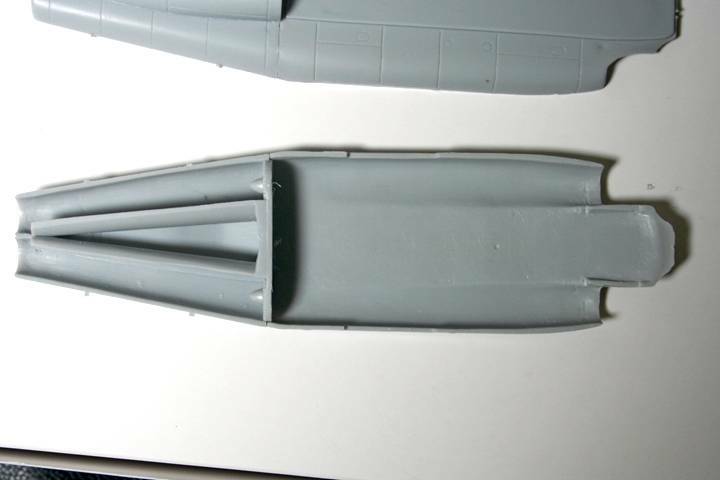 Here's the nose and center fuselage glued together. The seams along the nose are nowhere as bad as they look like in this picture. The engine end though... is pure Amodel. The exhaust cones have no positive attachment points and fell back. Not a problem - I'll knock them into the fuselage and use something else. 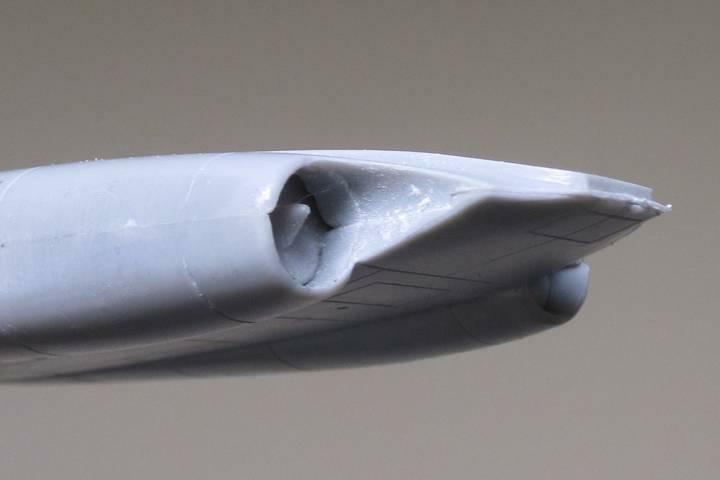 There's a bit of a warp to the lower fuselage in this section, so I glued the end with superglue, then worked my way forward with Weld-on and Tamiya extra thin cement, clamping the parts together until a melted bead formed at the joint. I superglued the very front as well. Keeping the panel lines lined up (here and in the cockpit fuselage section) kept me on my toes. The wings have very thick trailing edges. I'll fix them by either gluing a thin strip of plastic and sanding back, or just sanding a sharper edge. 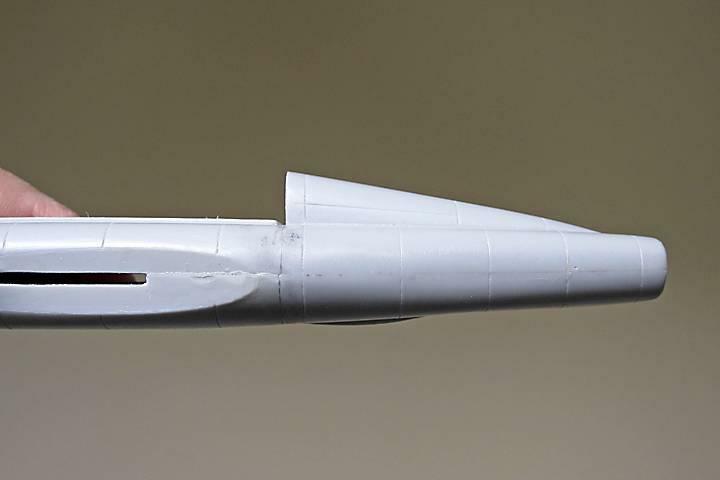 Greg, this one will be Soviet, with Su-25-like camo. 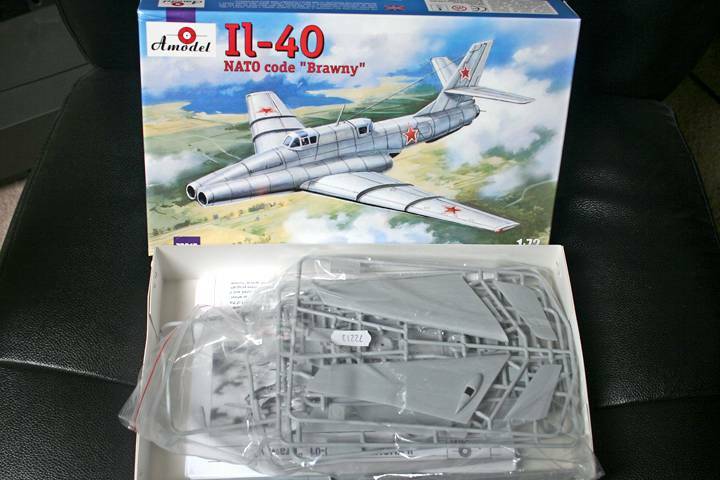 I noticed that the other version of this kit (the Il-40 "Early") could be converted to the Il-102 without too much trouble. Next up is a cockpit and putting all the sub assemblies together. Then I'll start the puttying. Wow, the Arado is a LOT smaller than I thought. Thanks for the comparison. Looking forward to seeing the Soviet Warthog completed! I don't like CA glues in general; for this build, you almost have to use both types of glues. I've had that DML weapon set forever and have been slowly using it up. 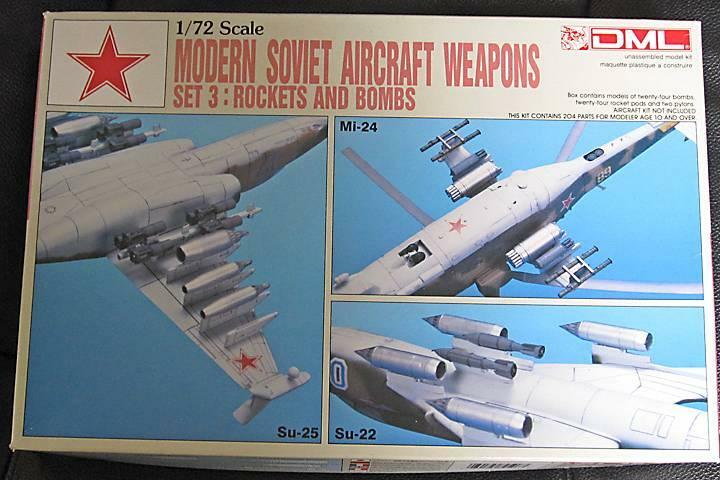 This is only the second Soviet aircraft to use the parts, though. Apparently it's long OOP. It looks tiny compared to the Il-40, but I think it's a pretty big model. 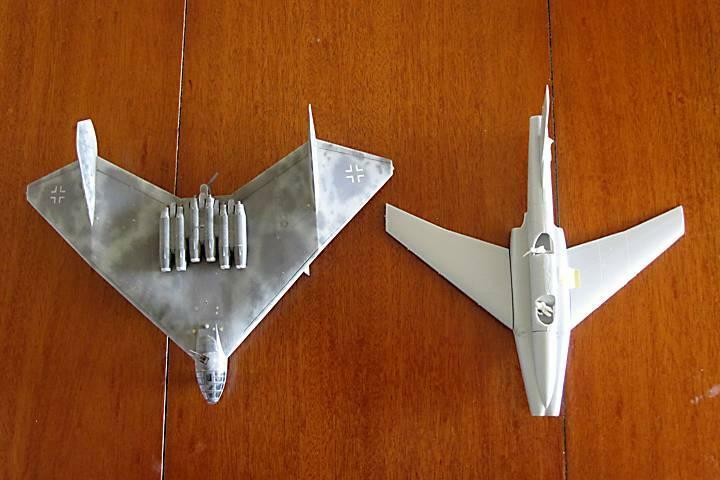 It's smaller than most 1/32 aircraft and some 1/48. Looking forward to the end product!! I never see this jet before ! First , I think that it don't really exist ! I wait to see the end of your project .